David Le/Gloucester Daily Times. 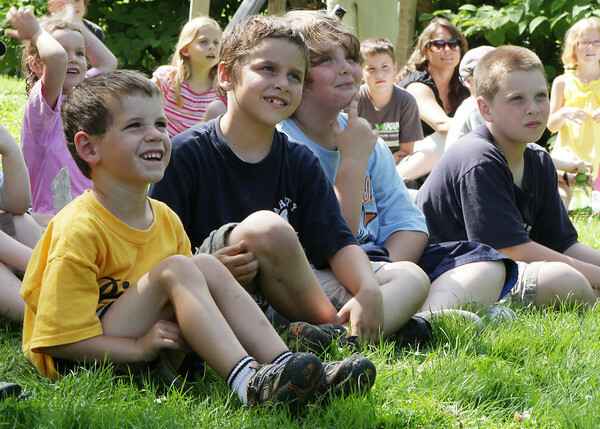 From left, Edward Merc, 5, of Rockport, and brothers Sean, 9, Steven, 10, and Scott Brown, 11, sit in the front row for the Sky Pirate Show at Millbrook Meadow Park in Rockport on Wednesday afternoon put on by Captain Robbie Bones, also known as "Awesome" Robb Preskins. 6/29/11.